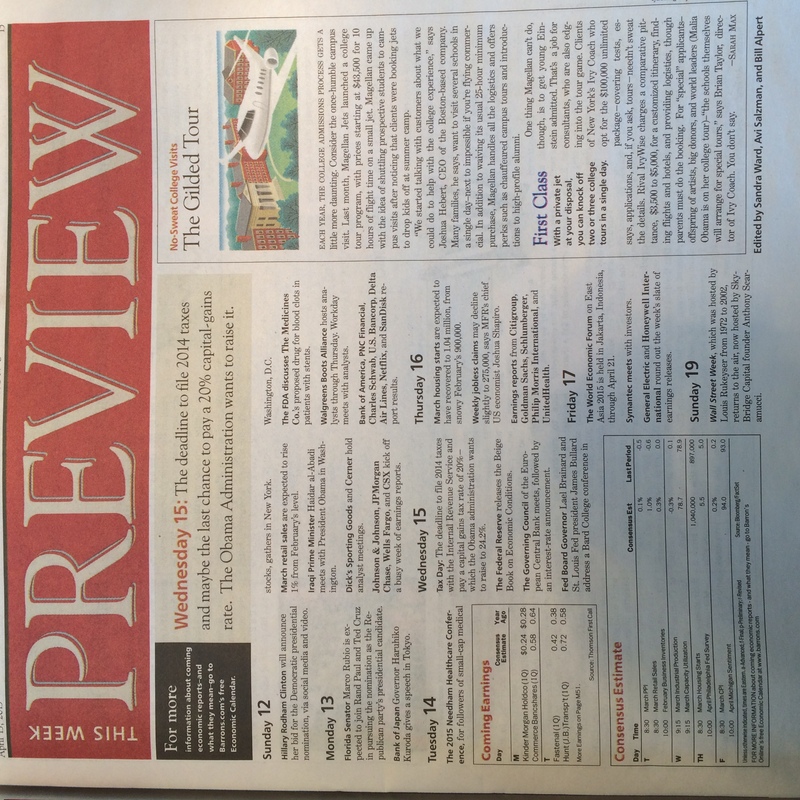 Brian Taylor, Director of Ivy Coach, is quoted today on the pages of “Barron’s” in a piece entitled “No-Sweat College Visits: The Gilded Tour” (in the print version) and “The Grand Tour, College Admissions-Style” (in the online version) that we figured we’d share with our readers. 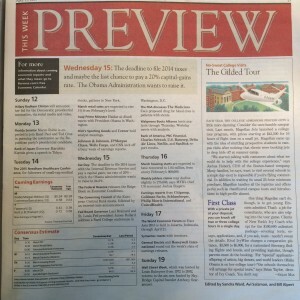 The piece, naturally, focuses on college tours and how we help students and parents plan their college visits. The piece references our Unlimited Package, which is our concierge service for certain clients. Do all of our clients work with us under our Unlimited Package? Absolutely not. But some do. Our Unlimited Package, as referenced on “CNBC,” is, however, a popular choice among our clients who come to us before their senior year. This piece happens to compare our Unlimited Package, which happens to include helping students and parents with their college visit itineraries, to another college counseling firm’s fee for only college visit itineraries. Well, that’s comparing apples to oranges. Our Unlimited Package includes everything from assistance with the Common Application and all admissions essays for up to twenty universities, interview prep, assistance with helping teachers and school counselors craft letters of recommendation (yes indeed, you can help your teachers and counselors with their letters), school selection and Early Decision / Early Action strategizing, and more. Indeed college visit itineraries are part of the more, as the piece correctly articulates! But to compare the fee for our Unlimited Package, when the college visit itinerary is only a small part of this package, to another firm’s fee for only the college visit itinerary is quite silly. And even though it does indeed specify that our Unlimited Package includes more than just the college visit itinerary, it makes it seem like an even comparison. But we get that it makes for juicy reading, and that’s ok! If you’re interested in our Unlimited Package, click on our orange button for a Free Consultation, fill out our form, and indicate at the bottom that you’re interested in our Unlimited Package. We look forward to hearing from you.